ownCloud users don’t have to worry about complicated regulations or fines with their file sharing. Thanks to on-premises installation and strict security features, you not only gain full control of your data, but a truly private cloud and fully compliant GDPR solution for your enterprise. Consider this your last warning before your visitors head for the hills. Sometime in July, rumored July 24th, Google Chrome version 68 will be stable. With this update, HTTP sites must be switched over to HTTPS or else visitor browsers will see a “Not Secure” next to the URL. Inline vs Cloud vs Hybrid: Which DDoS Protection is Right for You? HostDime’s secure network is among the most DDoS protected in the infrastructure industry. That’s because we offer three types of DDoS protection: Arbor Network’s local inline mitigation, a cloud-based traffic scrubbing service, and a combination of the two with our hybrid protection. All HostDime SSL Certificates, including new orders and renewals, are $10 off for a limited time only. These Comodo certificates start at just $20! We will be staffed and available during the storm to handle any issues that arise, and have tested and verified all of our emergency infrastructure. With the 1st quarter of 2017 in the books, let’s take a look at the current state of DDoS attacks against enterprises. Sadly, attack quantity and size have both increased significantly already this year. Here’s a brief snapshot of how dire this situation has become, and why organizations must be prepared by having the right defenses in place. There’s a battle going on between Google and Symantec, and no matter who wins, the loser will be the one-third of the Internet that use Symantec SSL to certify their e-commerce sites. cPanel & WHM software version 64 is now officially available in the CURRENT tier. 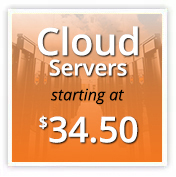 cPanel & WHM comes free with both a HostDime managed VPS server and managed bare metal dedicated server. For the potentially millions of users who are on Wordpress 4.7.0 or 4.7.1, it is recommended that you upgrade to the latest version of 4.7.2 immediately. As a premier global data center and infrastructure provider, HostDime.com, Inc. holds client security and privacy above all else. We further advanced this commitment by becoming SOC 2 Type 1 certified.